You’ve finally decided to grow that beard you’ve always wanted. Your girlfriend is pleased. Moreover, it’s showing all signs of becoming that luxurious, beautiful mass of manliness you envisioned. Problem is, it itches. A lot. And now you’re torn between admiring those pleasing glances in the mirror and being driven to madness by a sensation that has you on the brink of shaving the full-of-potential beard right off. Your girlfriend isn’t pleased. But she’s also not living in your skin. Or, you’ve finally grown the beard, but it still itches. Well, rest easy friend. You’re not alone. That itchiness is part of the process. Your skin is just getting used to all that new growth and, with time, it will go away. But we get it; there are moments when the itch is so irritating that you feel the need to be locked away in a padded cell. Again, have no fear. There are tried and true solutions to battle that itch and keep you on track to that new handsomeness you so deserve. We’re here to help. Great question. The answer, in large part, is because you shave. That’s right. Those beard hairs were made sharp by your razor all those years, and when they start to grow, they irritate. That scruff is tough. Bottom line: Those hairs are growing as they should, but they’re acting like a toddler going through the Terrible Twos. There’s also dryness to contend with. That new facial hair will make your face dry to the point where it feels like it could start collecting dust. Beards also pick up a lot of debris. Like your favorite necktie can sometimes attract bits of your lunch, so too does your beard attract dust, dead skin, and food particles. You really can’t avoid it. So, that’s the why of it, in basic terms. Now let’s move on to the good stuff and how to fight the good fight. Time for the “how” of it. Each of the following steps, applied with care and persistence (repeat to yourself frequently “I will not shave my itchy beard!”) will help you power through the maddening itch. It simply stands to reason that if your beard is going to be a temporary holding tank for a multitude of particles, including bits of current and previous meals, then you’re going to have to clean it. Really clean it. What do you do with that favorite shirt which collects detritus and – perhaps – itches? You toss it in the washing machine; that’s what. Think of it this way: every day thousands of dead skin cells are shed by your face and end up stuck in your beard. If those cells are allowed just to sit there, they’ll cause irritation and itching. But How Do I Clean It? 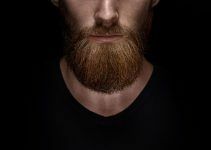 It’s an important question because keeping your beard clean is one of the most important, if not the most important, steps in maintaining a healthy, hearty and itch-free beard. First, let’s consider another question – how often should you wash your beard? Every other day. Washing your beard too frequently can mess with the natural oils found in your beard hair. If it becomes so dirty that you need to wash it on an off day, then use water only and not soaps/shampoos. Then again, don’t be afraid to use your own judgment when it comes to how often you wash your beard. Like every snowflake, every beard is different. Step One: Generously apply shampoo/conditioner specifically made for beards. Don’t be afraid to get aggressive and dig deep with your fingertips all the way to the skin. This will keep your skin clean and well-hydrated. Step Two: Rinsing thoroughly will allow the water to move your hair in all directions. Note: The temperature of the water when you wash and rinse is important. If it’s too hot, you’ll dry your skin and potentially hinder the development of your beard. That said, use warm water as it helps open your skin pores. It will open the pores, and even provide a nice wake-up call to start your day. Note No. 2 – Dry your beard fully after washing. Any water left behind can contribute to the skin irritation. The best method is to use a clean towel and gently pass it throughout the area. Using conditioner on your beard is another important step in defending against the itch. For one, the conditioner helps your beard maintain the necessary hydration it needs. It also softens your beard – another crucial link in the chain of proper beard care – and makes it more manageable. It will reduce split ends (yes, your beard gets them, too) and that will help ease irritation. Beard experts suggest using conditioner specifically designed for beards but don’t be afraid to try the same stuff you’re using on your hair. Something to keep in mind, however, is how it smells. Beard products like shampoo and conditioner have their own (beard appropriate) smell. And then the question becomes, “Do you want your beard to smell the same as your hair, or your girlfriend/wife’s shampoo?” Your choice. 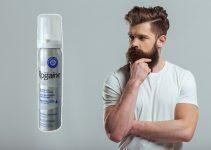 If you want to keep your beard hydrated all day, simply using a conditioner may not be enough. That’s where a good beard oil or balm comes in. There are a lot of good ones out there that deliver on their promises and keep your beard soft and itch-free. Keeping it moisturized throughout the day also prevents your skin from over-compensating and producing extra oil. Even just a few drops of beard oil each day will soften your beard and eliminate the itch. It’s been written that beard oil is the important tool in your beard maintenance box and who are we (or you) to argue? As mentioned above, it also comes with its own unique (manly) beard scent. Want to spoil yourself? Here’s one way: apply a small amount of beard oil over the entire surface of your beard. Wet a hand towel with hot water – it helps to have a bowl of hot water within reach – and then place the towel around your beard. When the towel cools, dip it back in the hot water and repeat. Do this for 30 minutes and then give your beard a final rinse with cold water. Your beard will thank you. You’ve let your beard grow wildly, and you wonder why it itches? Come on man! Once you’ve grown that bad boy to a length you want, it’s time to get serious about trimming it on a consistent basis. 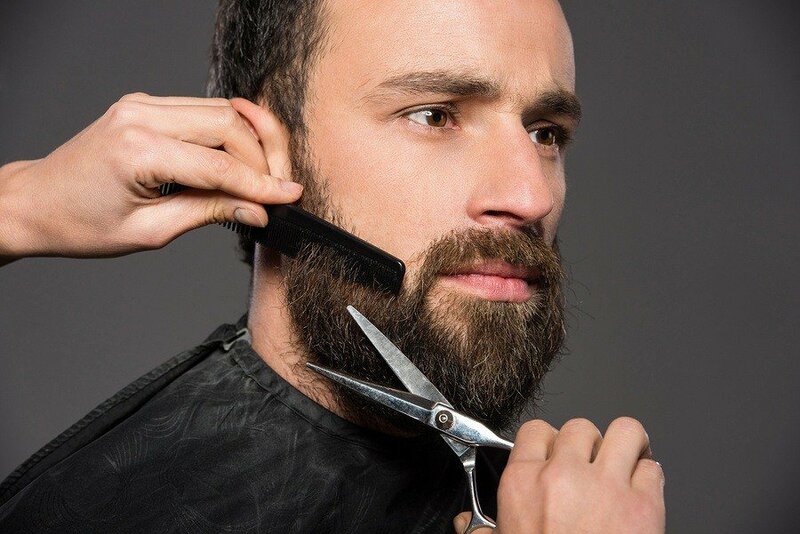 Like other beard products, there are plenty of high-quality beard trimmers available, so choose what’s the best fit for you. Start by slowly lopping off that excess hair that’s easy to spot because it’s sticking out. 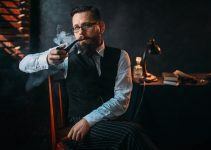 Among other positives, this helps the appearance of your beard since most beard hair grows in different directions – and looks messy and patchy if not trimmed. Note: As vigilant as you may be about washing, conditioning and trimming your beard, it can still be a bit stubborn and cause discomfort. Be sure to look for ingrown hairs and remove them with tweezers if necessary. You’ll know they’re there by the little red bumps they leave on your skin. You’ll also know them by their incessant itch. Off with their heads! Note 2: Once you’ve washed, conditioned, trimmed and oiled your beard, use an electric razor or safety blade to sculpt it, especially after it’s full-grown. Electric razors and safety razors give a more even cut, they’re gentler, and you’ll be able to deal more effectively with those ingrown hairs. Because the hair on your face is much coarser than the hair on your head, you’ll have to brush it differently. Using just any old brush won’t get the job done properly. Instead of reaching for your girlfriend’s or wife’s brush, invest a little money into a beard brush. Why a beard brush? Because the bristles on a boar hair beard brush, for example, are cut at different lengths than any old brush, you’re capturing the hairs at every level of your beard, giving you a more effective brushing. By increasing the efficiency of your brushing, you’re reducing the chances of getting split ends due to over-brushing. Using a beard brush is a no-brainer, but don’t think of it as a substitute for beard oil. Beard oil nearly trumps all. The best time to brush your beard hair is after you shower. But not the first thing after a shower. First, dry off your beard with a towel, as mentioned earlier. 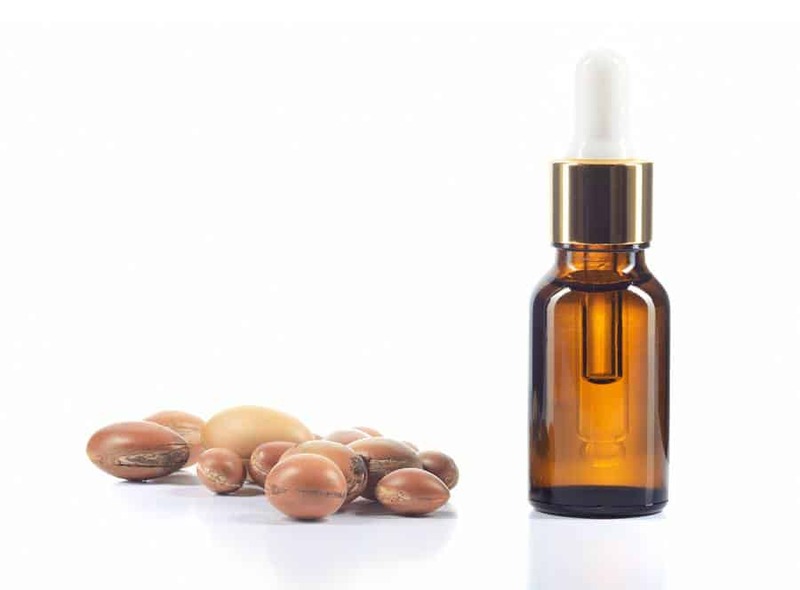 Once it’s dry – or reasonably dry – apply a nice beard oil. Then, and only then, brush your beard. 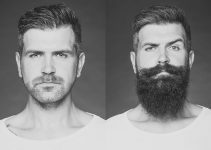 There has been plenty of research done which says the health of your facial hair is in direct proportion to the health of your body. In other words, the same nutrients that are good for your heart and other vital organs are good for your hair and skin. And, as we know, a healthy beard is one that doesn’t itch. 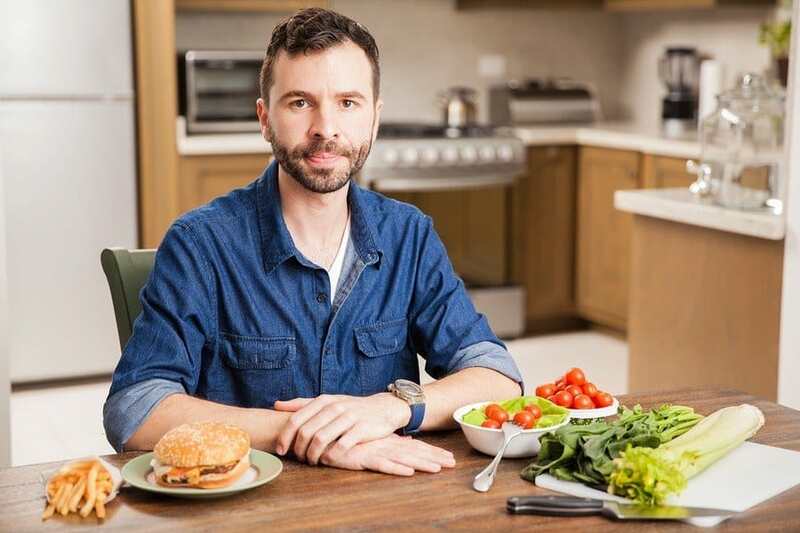 So, before you wolf down that fast food lunch when you’ve convinced yourself that you don’t have time for anything else, consider the things your beard needs from your diet. First, you can add the natural hair growth supplement Biotin to your diet. It helps improve hair quality and growth. Biotin contains vitamins B6, C and E, which are good for hair. Specifically, vitamins C and E promote your body’s production of sebum, a natural oil that lubricates and moisturizes hair. Vitamin A makes for healthier skin and healthier skin promotes better hair growth. B vitamins use the protein you eat to build new skin cells. Getting enough B vitamins also reduces stress and helps prevent hair loss. Not a bad combination. Omega-3 fatty acids are considered “essential” fatty acids, meaning they are essential for normal growth – including normal hair growth. They protect cell membranes, which helps prevent your beard from becoming dry and brittle. With that, we complete our go-to treatise on dealing with your itchy beard. Remember, there’s no need to suffer in silence, or even loudly for that matter. Take care of your beard, even when you think it doesn’t deserve it because of the way it itches. Wash it. Trim it. Give it beard oil and good food. That’s all. Soon enough, you’ll have a full-grown beard that knows how to act like one. So I’ve stopped growing, I’m 16 btw, and I still can’t grow a full beard (one that is connected to my moustache and chin hair). Will this happen as I age or is this the best I have (since I’ve stopped growing)? I also have extreme itch after 3 days of not shaving, can anyone tell me why this happens? I shave every other day, but when I don’t my whole beard area gets extremely itchy. Your beard will continue to develop. Been growing my beard for 5 months and it stopped itching after a month or so, but now its started back itching like crazy! I wonder if a new set of hairs is coming in or something – I use beard oil daily and keep it trimmed relatively short. hey there, i always had a clean shave, and i dsaided to grow a beard but its make my face really itchy, i dont know what i had to do, because i need to know what my face look like after grkwing a beard. any help? Maybe it’s just me being paranoid but I think I’ve got a bigger prob. I love to keep the beards but if I do not shave on time, my entire body, not just the facial part itches terribly. Anyone got any advice for me? Hey, Peter. That sounds highly unusual. Sounds like OCD to me, but if it’s serious, I’d consult a doctor if I were you. I didn’t realize that making sure your beard stays moisturized can help it stop itching. I can see how this is possible since dry skin can get irritated easily. I can see how making sure you consult with the pros can also help you find the cause of your problems. Should you exfoliate the skin uder your beard? Yes, you should. But don’t overdo it. the beard growing capacity / testosterone levels? I have never grown it for this long before (two weeks) so I don’t know what the hell to expect. If you are healthy and do some regular exercise your testosterone levels should be fine. But you may not have the best genetics for thick facial hair. Increasing your testosterone levels will only have a marginal impact. 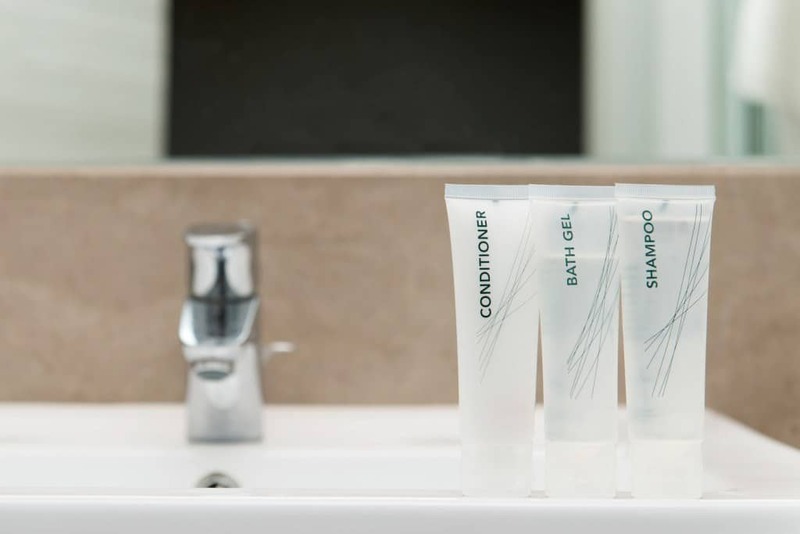 If you want clearly visible results, you should try out Minoxidil. Now, since it’s not FDA approved for facial hair, it’s on you. Use healthy judgment. But, from what I’ve read, most people didn’t experience any side effects and were happy with the results. 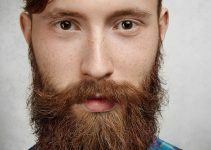 The use of Minoxidil will work on beards, however it should be used with caution as it hasn’t been widely studied in the way it has on head hair. In addition the long term use of such products are not really well known; the process by which it increases hair growth stitmulation is the same as one way in which tumours increase their ability to grow uncontrollably by increasing the production of blood vessels (angiogenesis) and therefore in 20/30 years we might find that such products show links with the generation of certain cancers in the areas in which they are used. I know during a module at uni one of my lecturers was concered with this possibility from the flippant use of such products, and so their use should be not entered into lightly. Plus if I remember correctly it pretty much only continues to work if you carry on use of the product indeffinitely. I agree. I’ve never claimed in my posts that minoxidil is 100% safe. Use of minoxidil should be further studied. But until minoxidil is proven to cause something really negative, I feel the pros outweigh the cons. Great post. Love the writing style – time to get rid of the itch… Thank you! I have always loved growing beards. However, dealing with the itch is not fun at all, so I appreciate the tips here. Who would have thought that eating right could help with beard growth and comfort? Also, like you said, using a beard oil which will moisturize your beards is also a good choice. Itching starts when your hair follicles can no longer keep up with the production of sebum oil which helps to moisturize your beards. So it’s advisable to use a beard oil that will help to supplement the production of this sebum oil. There is nothing better than the feeling of having a nice, shiny, healthy and soft beard. Hi I’m Joel and I’m 17 years old, I can grow a full beard in about a month and a half but it has a few gaps! Is it normal for my age ? How do make those patches fill up with hair ? Absolutely. Te patches will fill up as you age.